There’s no shortage of Japanese ramen restaurants in Singapore, and joining the lineup over at South Beach Avenue is Ebi-Tori Menzo. Hailing from Osaka, Ebi-Tori Menzo, as per namesake, specialises in both chicken ramen and shrimp tsukemen. For the uninitiated, tsukemen is a form of dipping noodles, and the sauce it’s served with is a thicker and richer version of the usual ramen soup broths that we are used to. Their signature ramen offering may not rank as high as compared to many others out there but here’s why you should pay this humble ramen restaurant a visit anyway. When it comes to artisanal bread and pastries baked fresh, very few do it better than the good folks over at Enjoué Bakery. Specialising in a vast array of quality European-style artisanal bread, pastries and cakes, each and every one of this humble Joo Chiat bakery’s authentic bakes come with sturdy crusts imbued with the natural flavours of fermentation and a robust mouthfeel that is quite unlike any other. All their products are hand-made, freshly-baked daily and free from any preservatives and other unnatural ingredients. In essence, what you are likely to get is real-deal, healthy loaves that boast spectacular flavour profiles and textures—something you probably will not be able to find at commercial bread shops. Artisanal bread is all-natural and do not come laden with preservative, additives and chemicals—not to mention they taste so much better. 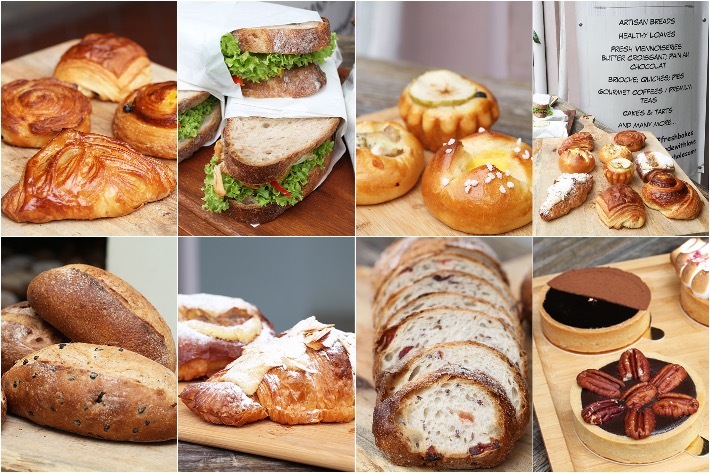 It may take a bit of getting used to, but the pros of switching over to artisanal bread truly outweigh the cons, and Enjoué Bakery is perhaps one of the few in sunny Singapore that guarantees superior quality, wholesome loaves that come with the promise of unbeatable flavour. Enjoué Bakery is having a special promotion of S$1 butter croissant (limited to 3 pieces per customer, daily) from now until 8 August 2018. Egg Drop has got to be the hottest breakfast spot in Seoul right now. Look forward to avocado, bacon and cheese, teriyaki chicken, and of course, eggs, sandwiched between 2 slices of thick, buttered brioche toasts. 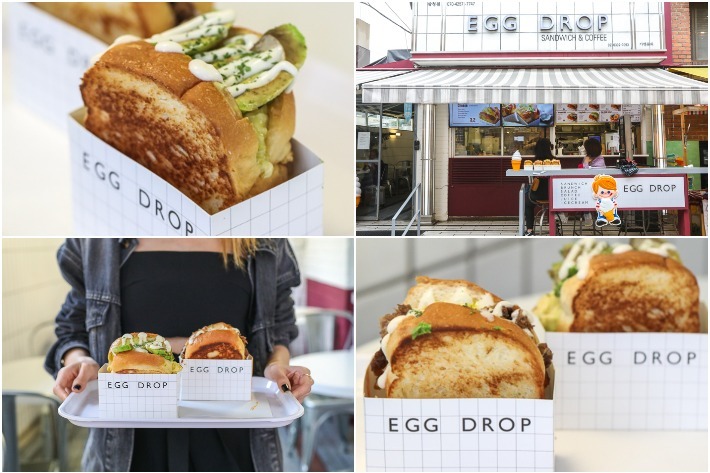 Bearing some similarity to Isaac Toast—another popular Korean toast chain that is opening its first outlet in Singapore—Egg Drop specialises in egg sandwiches that you will be sure to finish to the last drop. If you like Isaac Toast, you will love Egg Drop’s Brioche toasts. Izakaya bars are all the rage now, especially among the office crowd and En Sakaba under the Izakaya Japanese Dining Group (which manages En Japanese Dining at Mohd Sultan, En Japanese Dining Bar at Bukit Timah and Z’en Japanese Cuisine) is not a name unheard of. Now with a total of 4 new outlets—each boasting different concepts—this izakaya slash Japanese restaurant group is a true haven for those in search of tantalising Japanese fare, a chic yet cosy spot to relax at and a solid tipple. 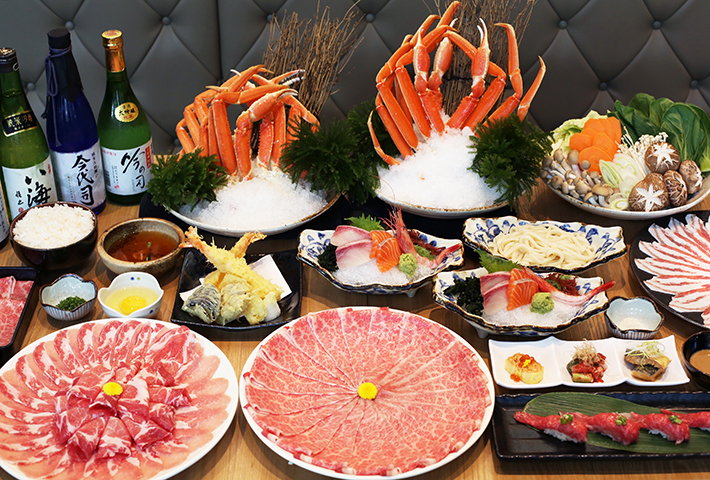 Introducing its new flagship restaurant and the group’s fourth outlet, En Sakaba at Capital Tower is set to enthrall with their stellar shabu shabu offering, visually stunning à la carte items as well as a selection of curated Japanese whiskies and sake for your after-work tippling pleasure. For a limited period and exclusive only at Capital Tower, En Sakaba is having a hot pot buffet dinner that comes with a selection of appetisers, 3 kinds sashimi platter, wagyu sushi, prawn and vegetables tempura, Häagen-Dazs ice cream as well as a monumental shabu shabu that sees unlimited servings of Japan’s No. 1 of Miyazaki wagyu beef, premium zuwai kani queen crab, ibérico kurobuta pork, assorted vegetables, udon and Japanese porridge—all at only S$78++ per pax (U.P. S$108++ per pax). We kid you not, from the sweet flesh of the queen crab to the perfectly marbled, melt-in-your-mouth Miyazaki Wagyu, this is a shabu shabu feast that you must try and you’d be a fool if you missed it. When it comes to hotel buffets with flair, the award-winning Edge at Pan Pacific Singapore is one that never disappoints. Boasting a whopping seven live food theatres and over a hundred dishes to choose from, it is safe to say that they go above and beyond every measure of the word epic. This Christmas, revel in festive splendour with a dazzling array of both sweet and savoury Christmas treats, enchanting visual presentations as well as a multitude of South-East Asian and European delights. Well, let’s just say Edge is always one Christmas buffet we look forward to—from mouth-watering wintertime roasts to an extensive array of Asian and Pacific delicacies, and not forgetting their over-the-top dessert spread that features a life-sized gingerbread house filled with layers of thematic bonbons. As if this lavish lunch and dinner spread is not enough to put you in a merry mood, we are giving you a chance to be even merrier this Christmas. All you have to do is quote ‘ladyironchef’ upon making a reservation to enjoy this stunning line-up at 20% off from 20 November 2017 to 23 December 2017. ‘Tis the season to be jolly and it only gets at better at Edge.